ZCommunications » What is the Value of a Woman? I remember a friend saying that gay rights is the issue of our generation and, while I agreed at the time, I can’t help but feel that he was not entirely correct. As a woman, I fight everyday to be respected and treated as an equal. In my middle class American family, I am not a second class citizen but in the larger world it’s extremely apparent that I am. I was so naive about women’s issues growing up. I went to an all-girls school, have two sisters, and a plethora of opportunities so I didn’t realize how segregated and sexist the world is until I moved to Morocco. In Morocco, I cannot be out past nine alone, I am catcalled, stared at and followed on my way to and from work. My body is just an object to be stared at and commented on without regard for who I am or even that I am a human being. It doesn’t matter to men what I or other women wear. I can be in a hijab and still be harassed because it’s not a male responsibility to treat me with respect, it’s a female responsibility not to tempt those men. Catcalling is not an issue limited to Morocco. All over the world women are subjected to catcalling everyday irrespective of what they wear, how old they are, or their socioeconomic background. In a study of 630 women done by the Centre for Equity and Inclusion in India, 95% reported that they were restricted in public places as a result of male harassment. A survey by The United Nations Entity for Gender Equality and the Empowerment of Women found that 99.3% of Egyptian women have experienced some form of sexual harassment, both physical and verbal. I came to Morocco to learn about women in Muslim societies and to try and be involved with some form of women’s empowerment. I knew it would be hard to be a woman here and that, in a lot of ways, I wouldn’t be respected because of my gender. What I didn’t expect was to stare into the face of a man who told me he wasn’t going to send his 6 and 8 year old daughters to school but that he would send his sons to school if he had them. In other words, his girls were, in his opinion, not worth the investment. What this man and so many ignore is that, through education, women are less likely to get married and have children at a young age and, thus, less likely to die in childbirth, are better caretakers of the children they have, and are better suited to find work that will support their families. Women with an education basically lift entire families out of poverty. Akrich isn’t an exception. This ingrained sexism and cultural expectations for women run rampant across most of the world. The hardest part about the way women are treated is that it’s hard not to feel helpless. How am I supposed to change the way people have been thinking since the beginning of time? How can I convince both men and women that we need to change our ideas about what women’s role is and what women can do? How do we adapt whole cultures and religious interpretations to see how archaic their treatment of 49.6% of the population is? Spiralling into questions and self doubt only further the problem. International Women’s Day was on March 8th. However, every day girls and women are married at a young age, raped, catcalled, forced to leave school, or demeaned because of their gender. Both men and women need to continue the conversation about gender equality and empowerment before it is pushed aside by other more pressing matters. The UN has declared that it will attempt to reach gender equality by 2030, and with such a tight deadline we must continue to create equality so we can reach this goal within the next 14 years. 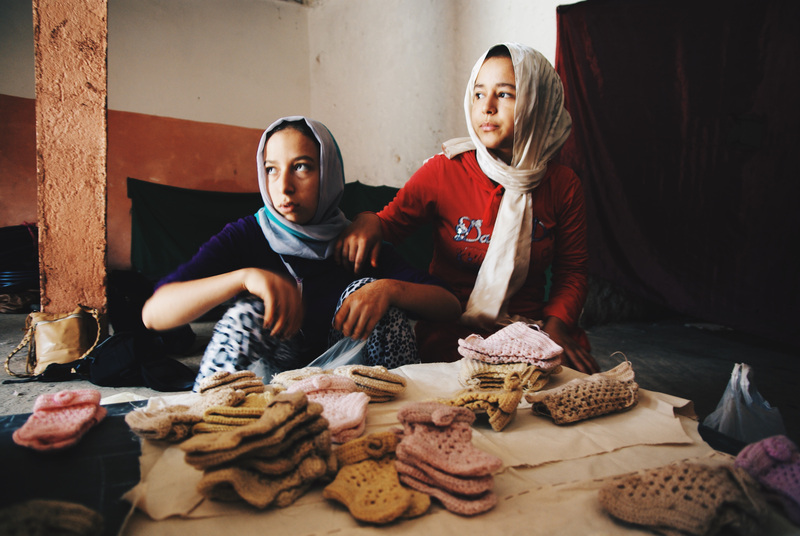 Emma Tobin is a photojournalism and social media intern at the High Atlas Foundation. Ms. Tobin is currently on her gap year where she has been able to explore both Southeast Asia and North Africa.